New Year seems to be quickly creeping up and yet I have to admit, I’m still not quite ready to let go of Christmas. 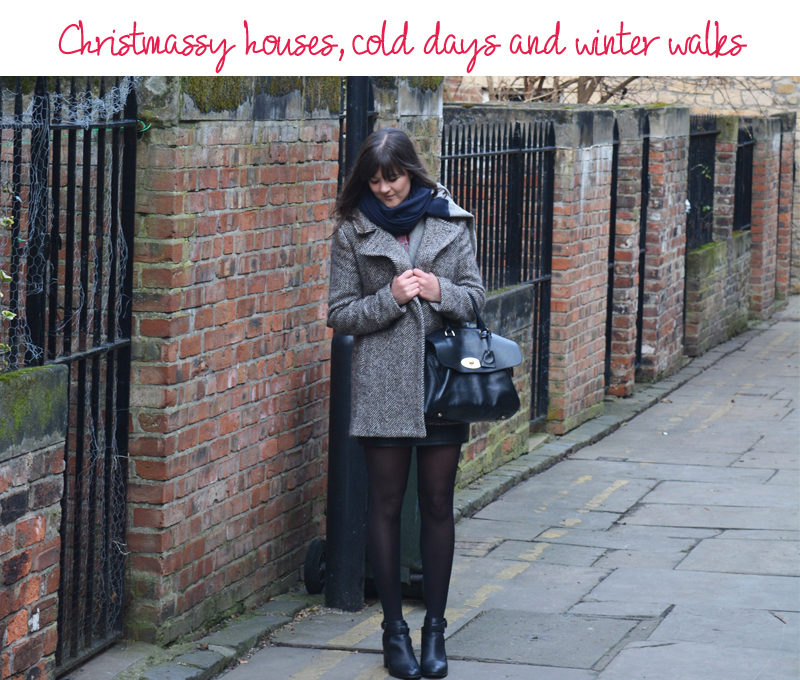 Whether it’s dipping back into Great Expectations or a Christmassy stroll with Sarah Bosson (who lives on THE MOST Dickensian street in Newcastle), I’m still feeling all festive. 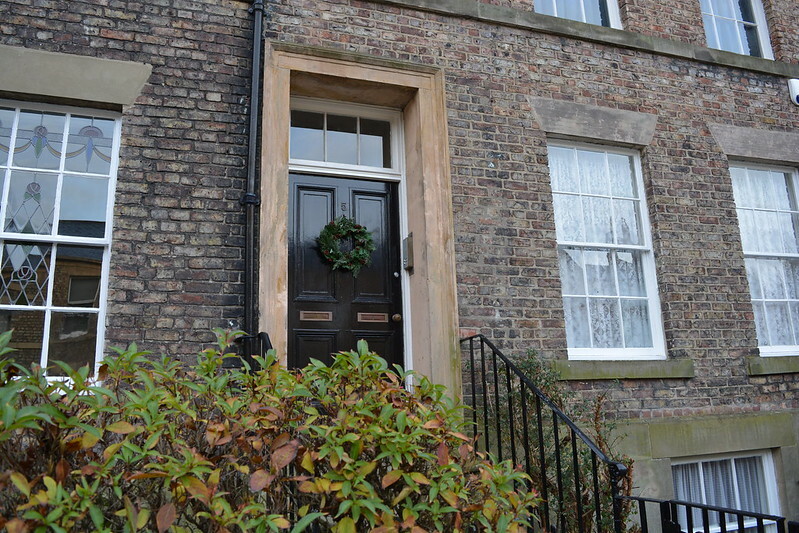 We took these photos a couple of weeks back before heading into town for the day. It’s got to be said that sometimes when you live in the city, it’s easy to miss its charms. 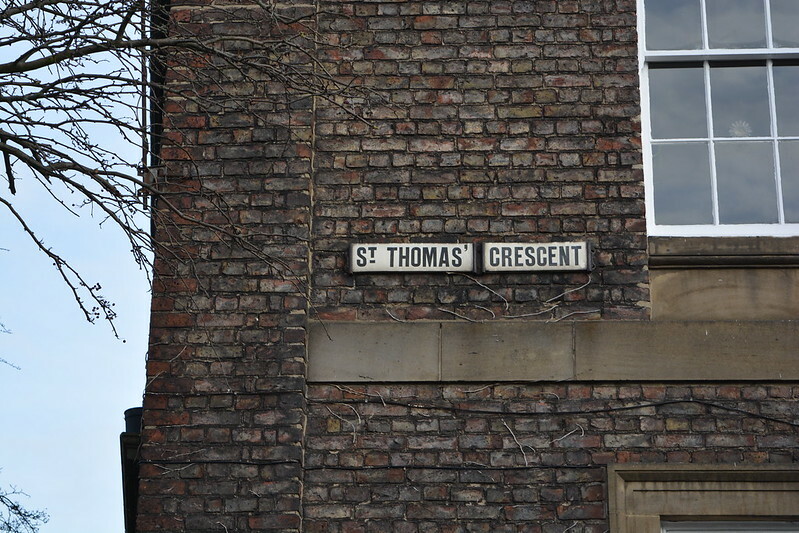 And St Thomas Crescent has always been one of my favourite streets. And decked out with Christmas wreaths, it definitely had that perfect old fashioned Christmas charm. 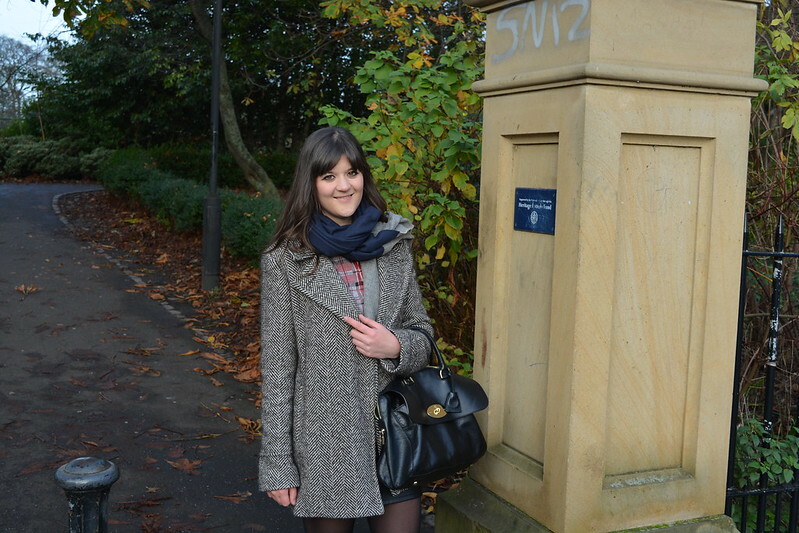 So camera in tow, we decided to take a little stroll down the Crescent and up to Leazes Park. Unlike the rest of the country, we’ve not been hit with any snow. But the biting cold was still enough to make your eyes water and give you an uncontrollable hot chocolate craving. 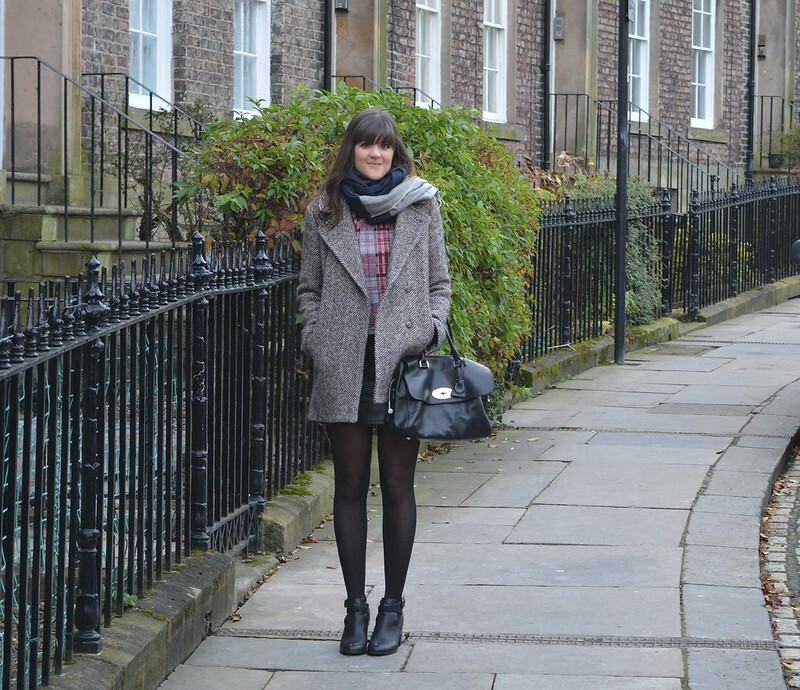 This coat and the Kurt Geiger boots have both been a firm favourite of mine all season. I’ve had my eye on cut-out boots for a while now but never quite found the right shape. Until I stumbled on this pair! They’re still pretty simple and the cut out is quite subtle, so they’re pretty easy to style. And with a 7.5cm heel, they’re perfect for wearing during the day without feeling like you’re going to cripple yourself. I’ve already posted once about the coat but the lighting wasn’t great so I don’t think it really did it justice. It’s definitely my favourite TK Maxx find this year. With its oversized shape and neutral herringbone, it goes with practically anything. It’s not the usual shape I’d go for, but I think that makes it all the more of a perfect fit in my wardrobe. 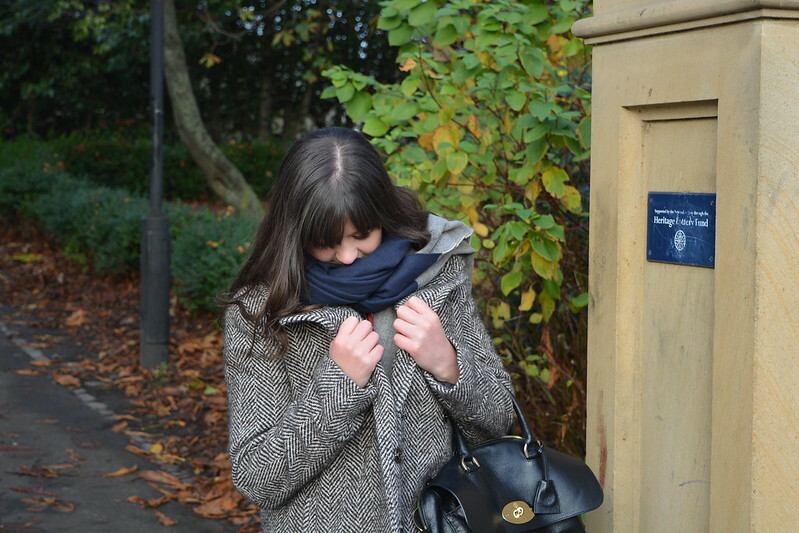 I’m now convinced that everyone needs a grey, masculine shaped coat to complete their closet. Because it’s loose fitting (and a size too big) it’s easy to layer up underneath. 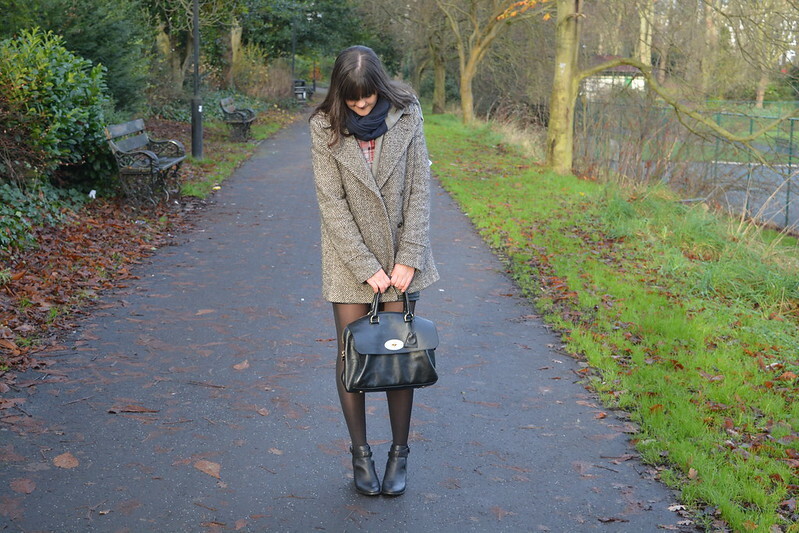 Make it perfect for winter walks in the park! I have such a crush on those boots!